This was the tagline of a recent article by Inc.com on 4 things employees secretly hate about their office. The article provides some insights on what might be contributing to chronic, employee dissatisfaction and why less than 1/3 of employees are engaged at work. 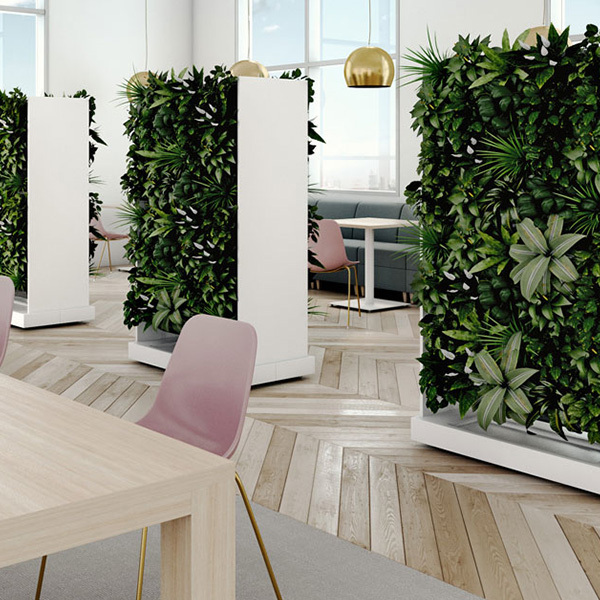 I know it might be hard to believe that anything could be wrong with your office, but in reality you may have unknowingly created an environment that is easy to hate. Bottom line: Employee satisfaction is directly related to productivity, staff turnover, and ultimately the overall growth of your company. If you care about your work, it might be time to take a good, long look at how your workplace is helping - or harming your business. The work set up is killing me! Literally! It's estimated that back pain costs employers nearly $35,000 per year for every 100 workers they employ. Yikes! That’s a lotta money! Our bodies are meant to move. 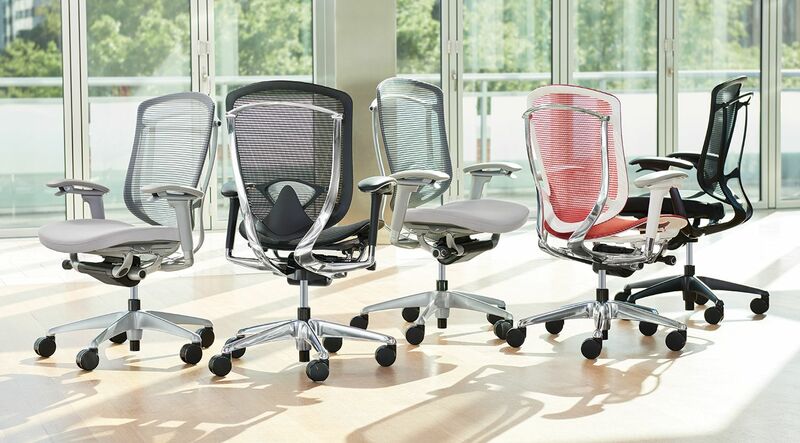 If sitting is really the new smoking, we’ve got to make an effort to integrate movement into the modern workplace. 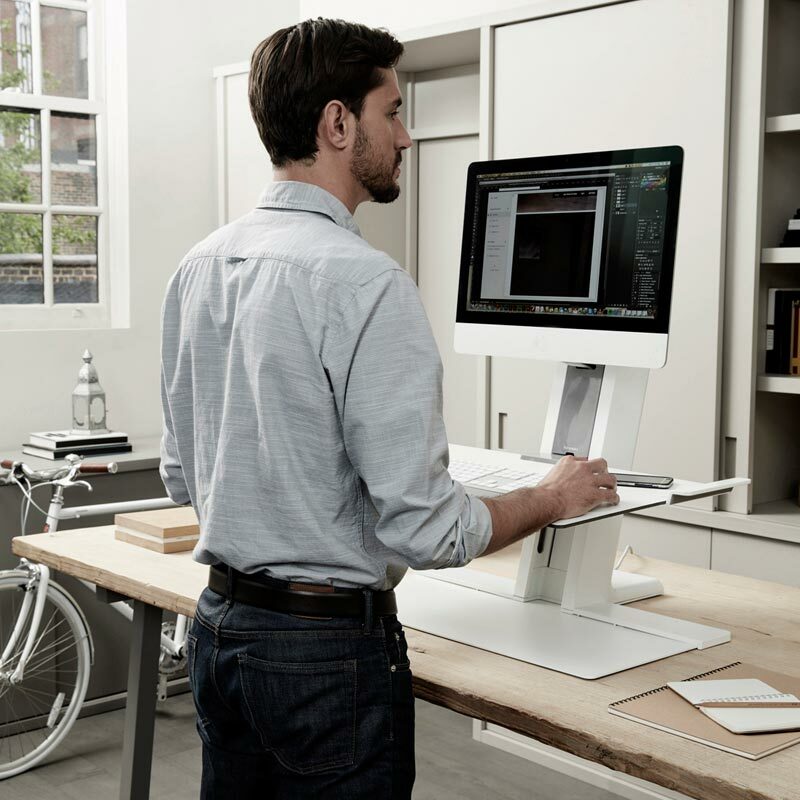 One easy way to do this is through height-adjustable desks that allow users to quickly change between sitting and standing positions. QuickStand Eco features simple setup, portability, and near effortless adjustability transforming ordinary desktops into healthy, active workspaces. 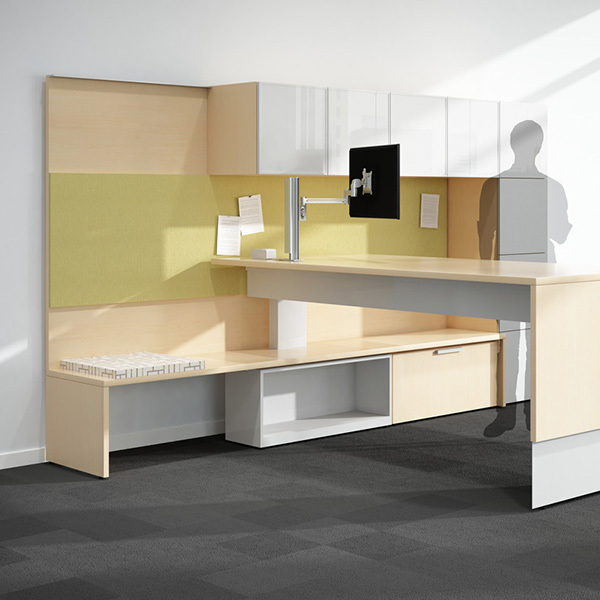 Livello supports dynamic, multi-functional spaces that easily transition as new needs arise. The counterbalance mechanism employs a spring to counteract the weight on the worksurface and can easily be adjusted to your ideal height. 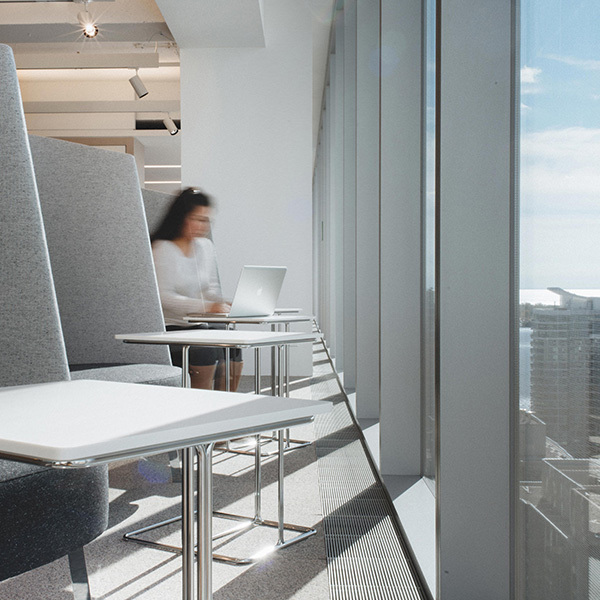 Single or linked, the Height-adjustable Bench creates a workspace that fully supports user sit/stand work heights, technology requirements and individual privacy. The electric mechanism allows users to save presets so it's quick and easy to resume your ideal seated or standing surface height. 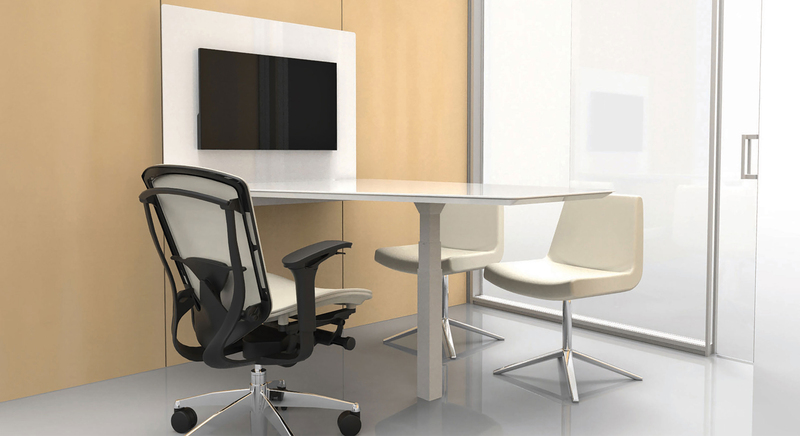 With a clean, modern aesthetic, height-adjustable desks are incorporated into private office furniture providing individuals with movement, flexibility, and collaboration. Due to the sedentary work-life of most professionals, back pain is becoming an enormous and costly problem to employers. 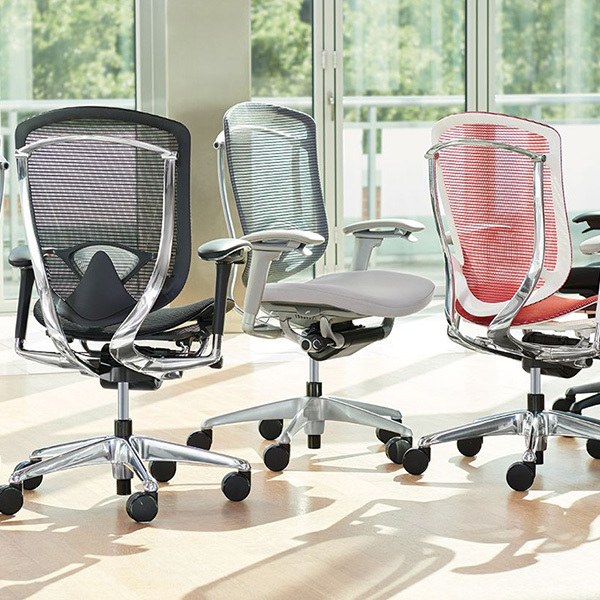 Cut down on that lost revenue by providing your employees with high quality seating products that allow each individual to adjust their seat and get the support they need. 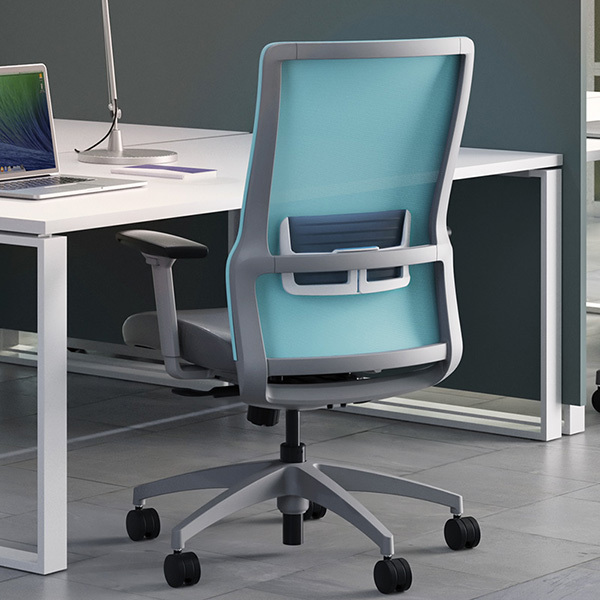 High-functioning and budget-conscious, the SitOnIt Novo task chair provides super design, stylish features and superior ergonomics. 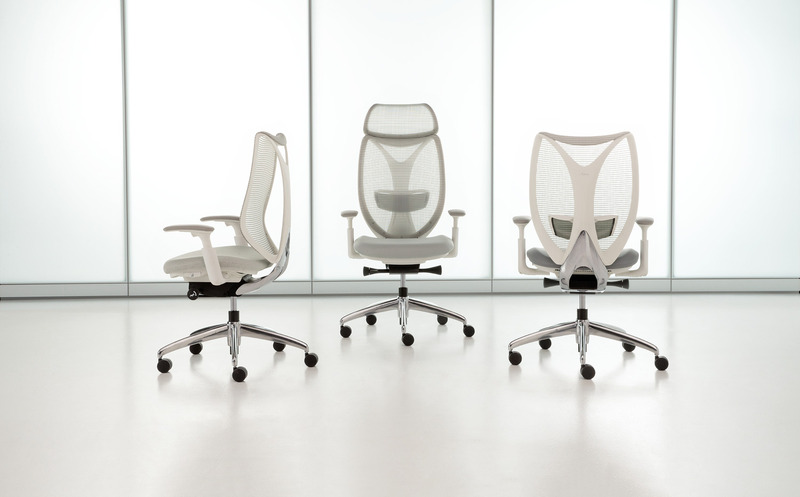 The Sabrina chair’s design incorporates a ring-shaped backrest for both fit and flex comfort. The inner ring provides support and backwards bending in the body’s natural position, while the outer frame gently twists to either side for extra flexing. 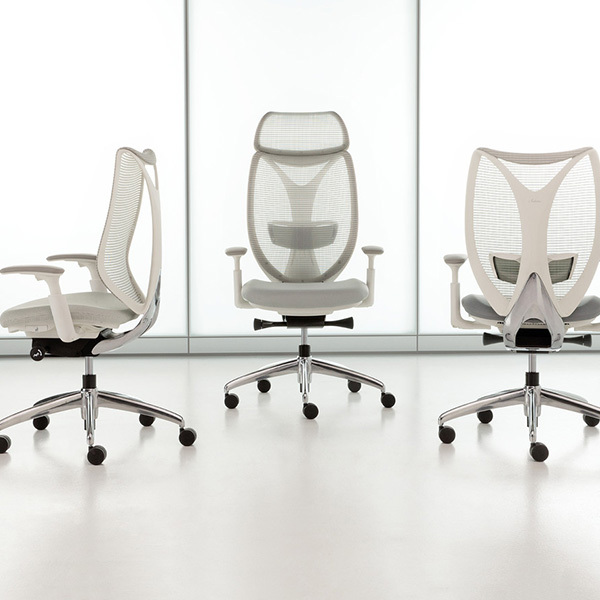 The Contessa Nuova chair's refined aesthetic, advanced adjustment mechanisms, and increased strength and durability deliver uncompromised comfort and performance for diverse body types. I can’t concentrate in this open office! It’s way too noisy! 63% of employers think they've given their employees the tools to block noise, while only 41% of employees agree. 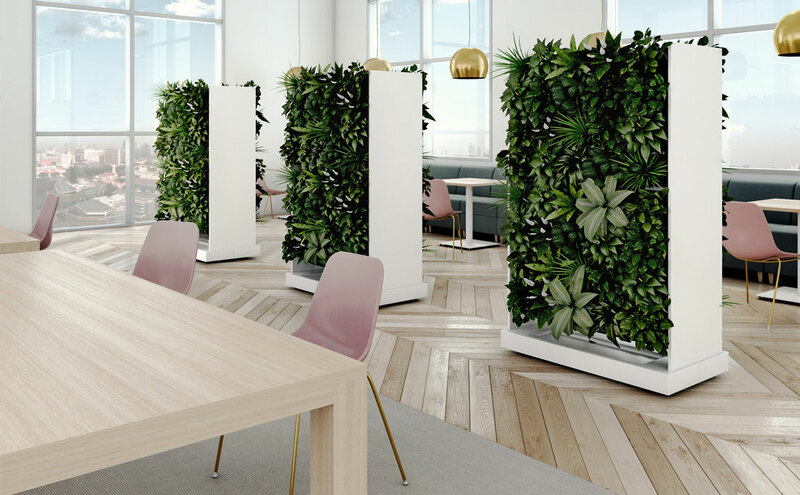 The open-office concept has swept through seemingly every office building in America and has left some casualties in it’s wake, namely the peace and quiet of the traditional, high-paneled isolated cube farms. 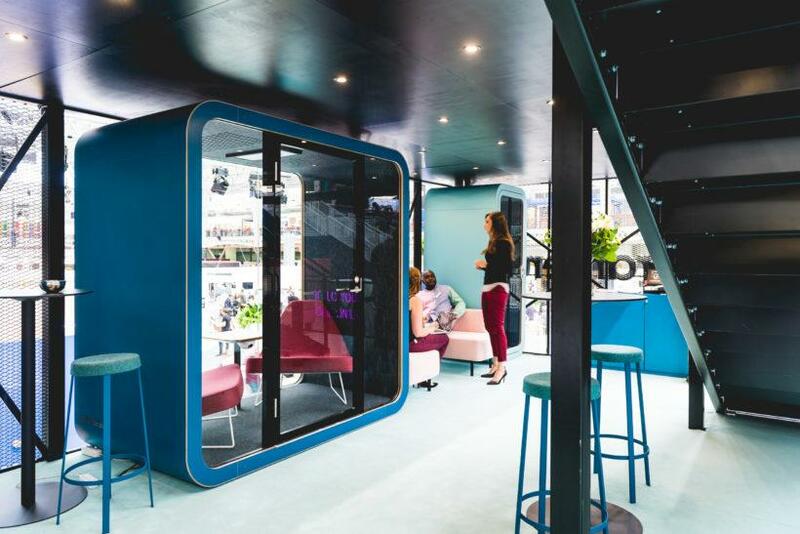 Although open-office concepts can significantly enhance collaboration and company camaraderie, it can be challenging for those that need more solitude to focus and be productive. 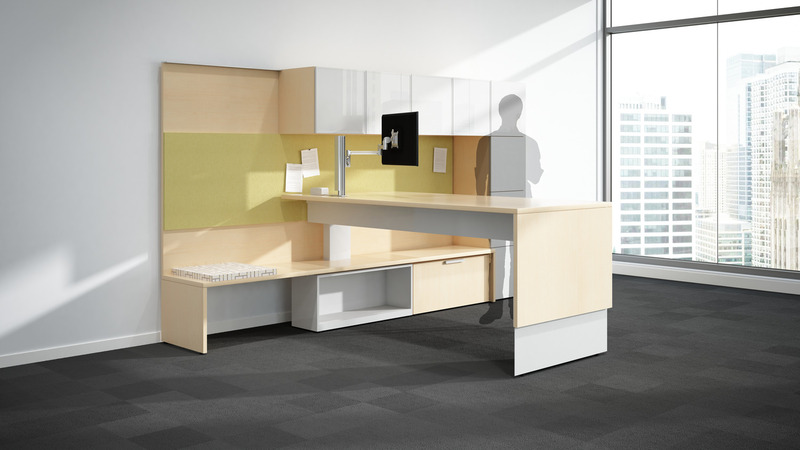 Solution: Create smaller quiet rooms and utilize sound absorbing materials throughout the office. 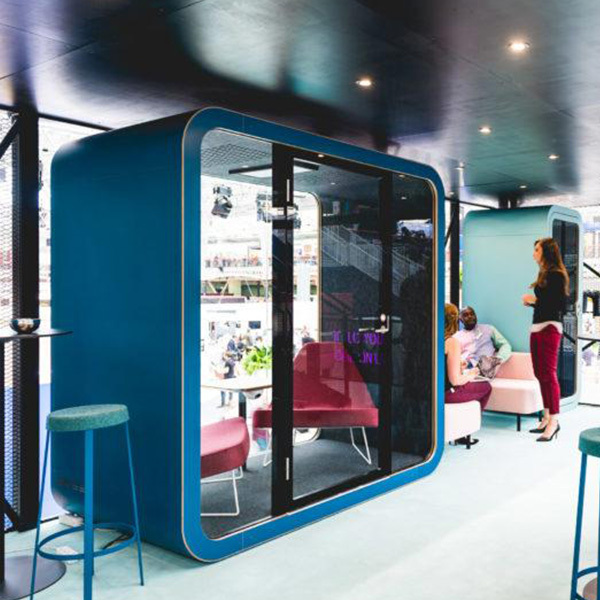 Teknion's portfolio of architectural, demountable wall systems can easily create small, quiet rooms for employees to retreat from the open plan environment. 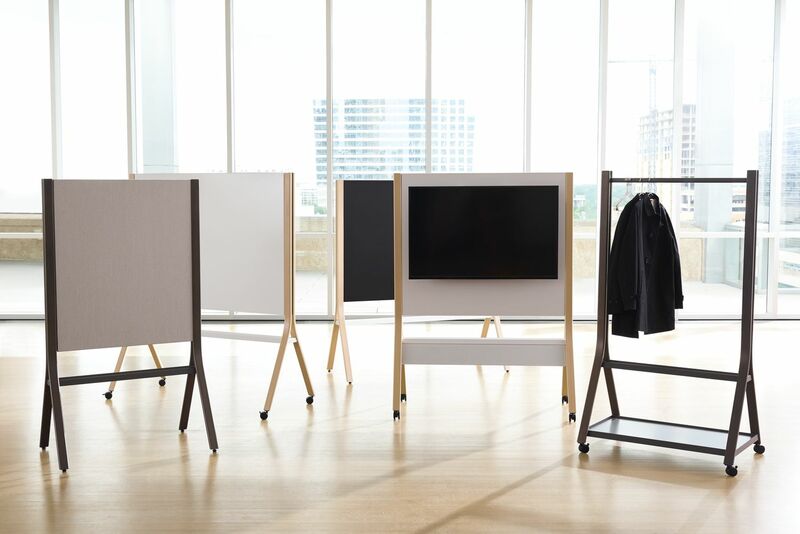 Framery sound-proof pods are the perfect solution for private conversations or focused workspace that minimizes distraction and auditory interuptions. 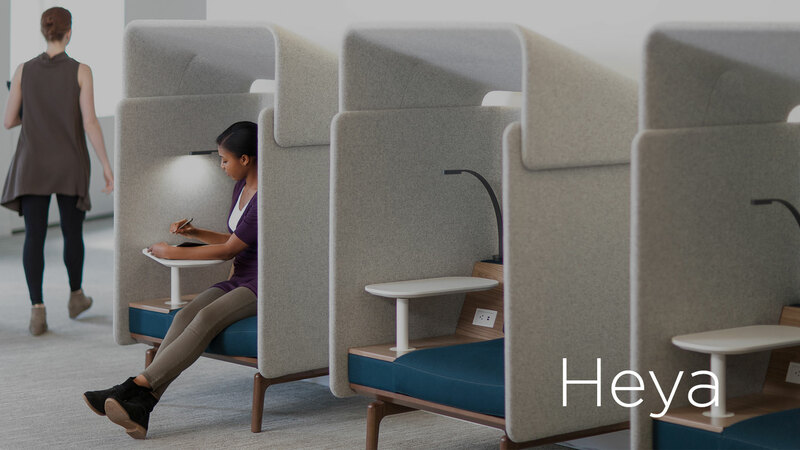 Heya creates a place for people to escape, think, and breathe. 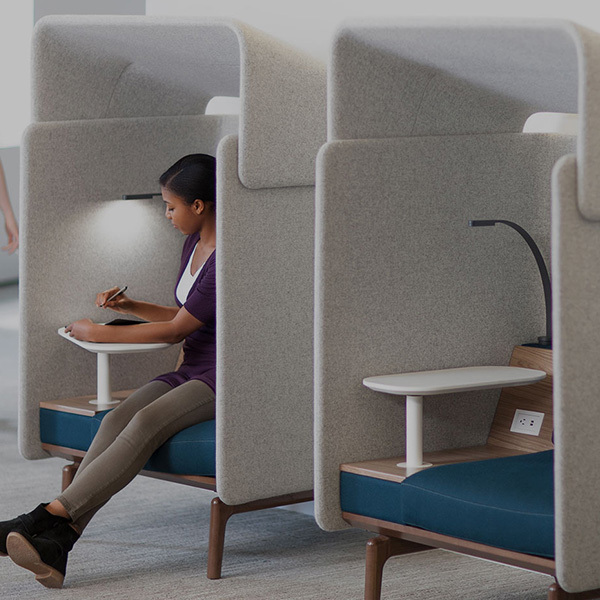 Heya’s comfort and visual softness allow these small rooms to blend seamlessly into the office, while still providing the closeness and privacy people need to really focus. 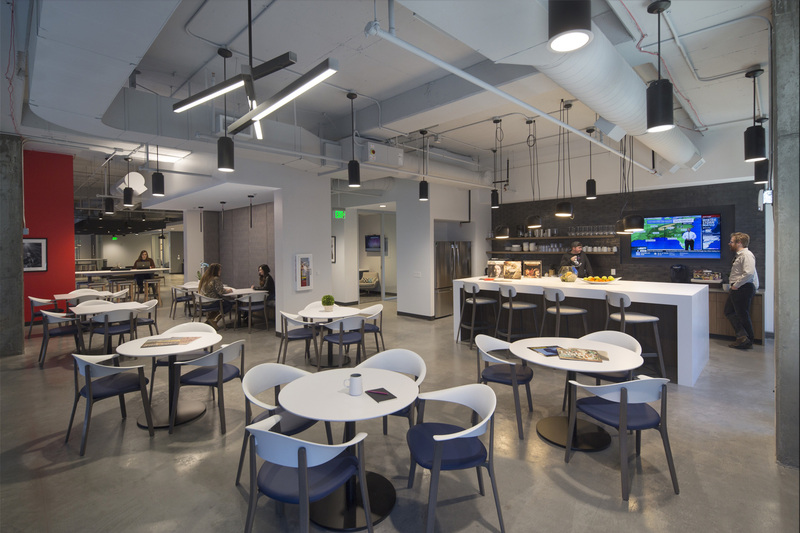 Influenced and inspired by the untethered, modern worker who seeks movement, flexibility and convenience, Zones semiprivate enclosures transition the workplace from one that’s fixed and formal to a space that suits a variety of preferences and working habits. The technology tools are old, inefficient, and annoying me! 75% of interactions between colleagues occur via "old-school" outdated technologies like phone calls and emails and it’s frustrating to the tech savvy who use more modern, efficient tools in their personal life. You mean it’s time to ditch my aol account? 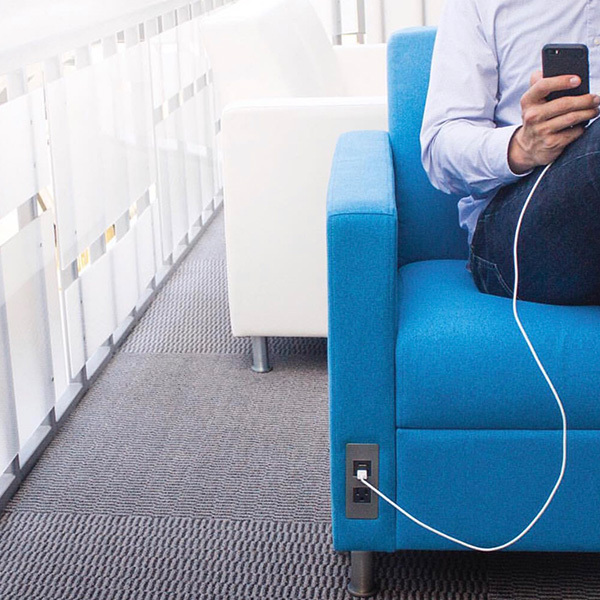 Solution: Beyond better software and applications, integrate tech into your furniture so connecting and sharing is faster, easier, and more accessible than ever before. 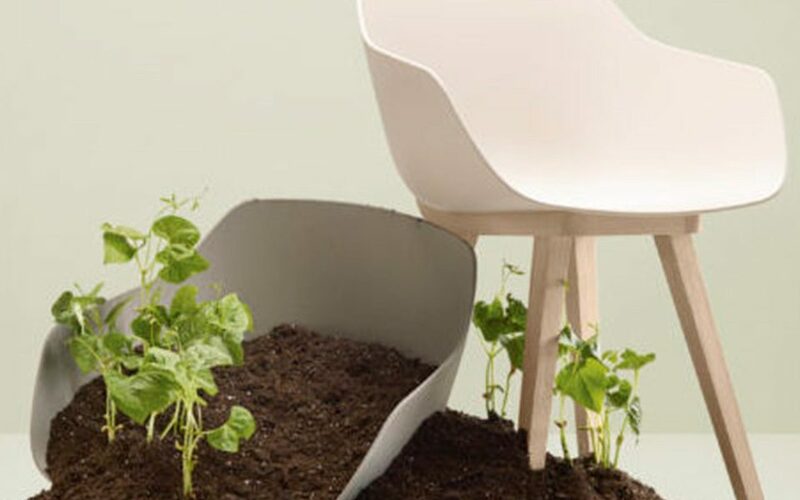 Modern and minimalist, the Ideon Composium lounge chair incorporate a convenient power module into the front of the chair for easy accessibility. 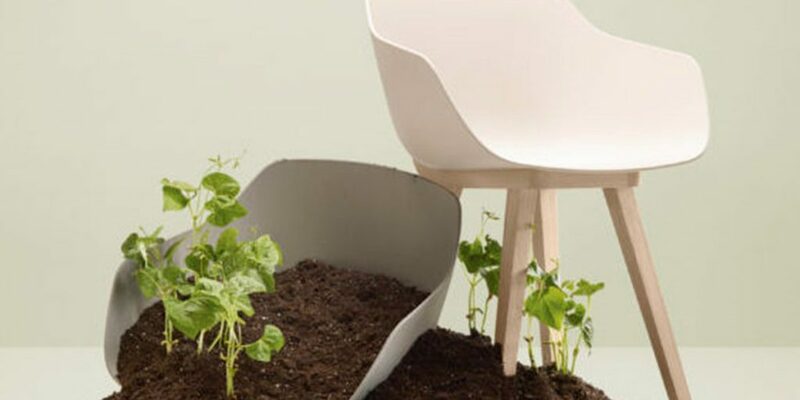 The Qui collection of tables and ottomans responds to the new and diverse needs of contemporary life and work. 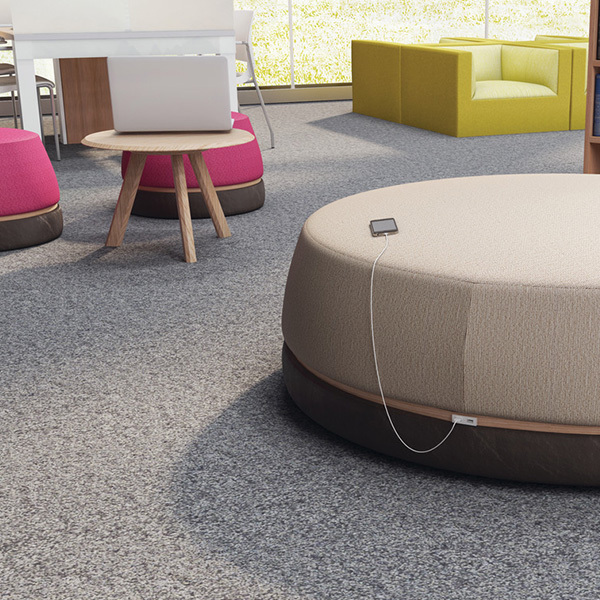 USB power is available in the medium and large ottomans to integrate technology into the collaborative environment. 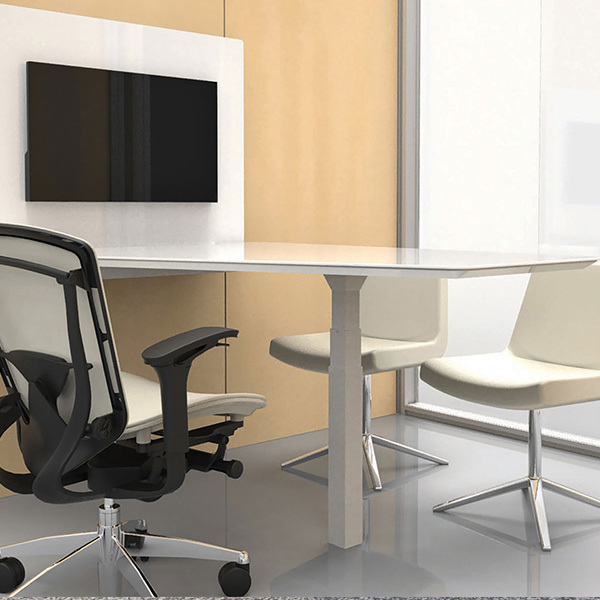 TekPier is an integrated, wall-mounted, height-adjustable worksurface and monitor that provides quick collaboration around digital media. 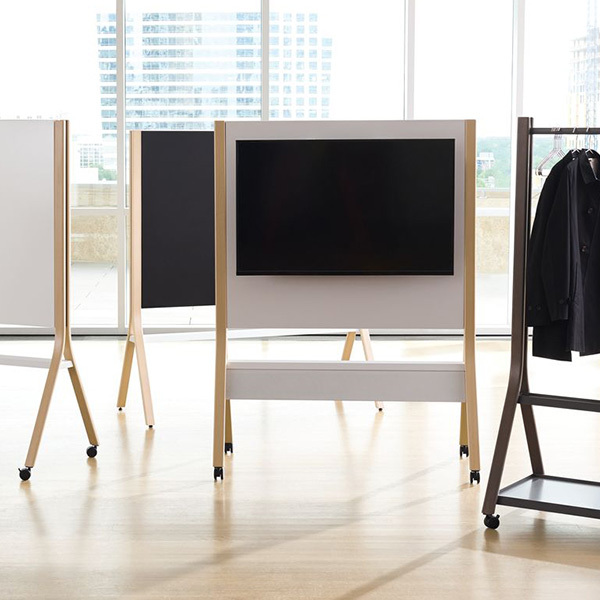 Whiteboard, tackboard, monitor display, or coat rack, the Zones collection of mobile easels can bring low or high tech tools to wherever it's needed. or help me achieve a healthy work-life balance. Only 23% of companies feel they are "excellent" at helping employees achieve a healthy, work-life balance. Solution: Besides creating some healthy boundaries like the ones suggested in the Inc.com article, consider the human factor of your workplace. How can you value your employees' mental, physical, and emotional health during the work day? 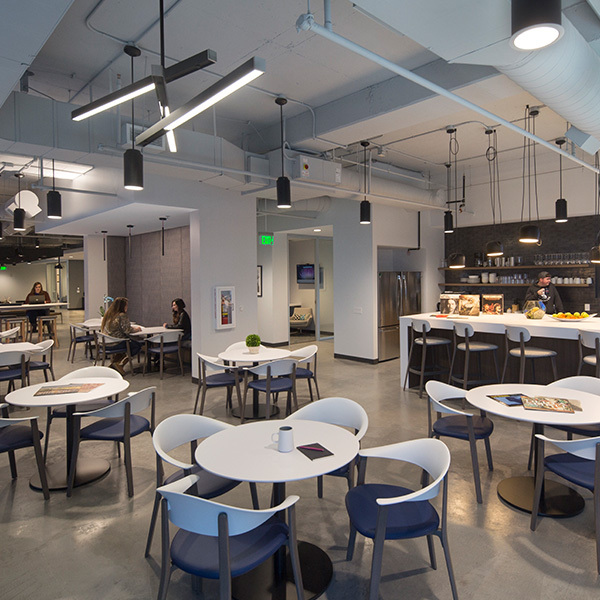 The central social hub acts like the office living room and allows people to seamlessly transition between work and play. 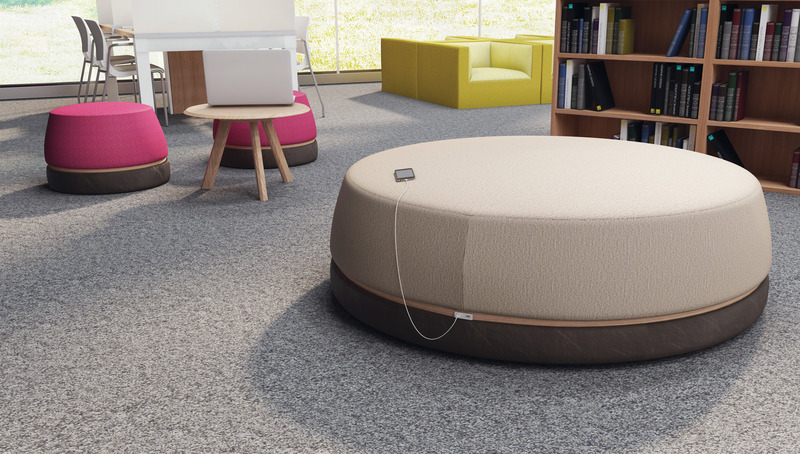 These areas have a variety of flexible seating which encourages relaxed conversation and connectivity. Food brings together employees and guests like no other tool. The cost of breakfast and/or lunch brought in once a week and a social hour once a week is small compared to the good will and camaraderie it promotes. 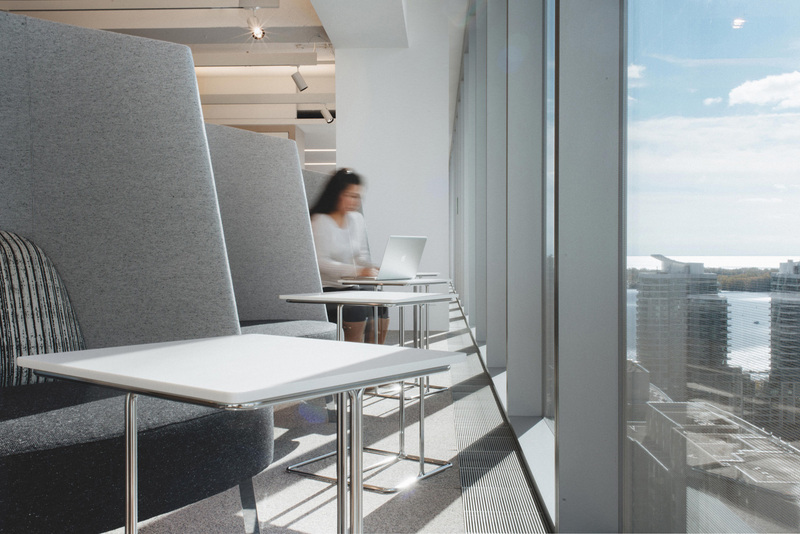 There is a strong relationship between workplace daylighting and office workers' productivity, engagement, and absenteeism as well as sleep, general activity and the quality of life each person experiences. 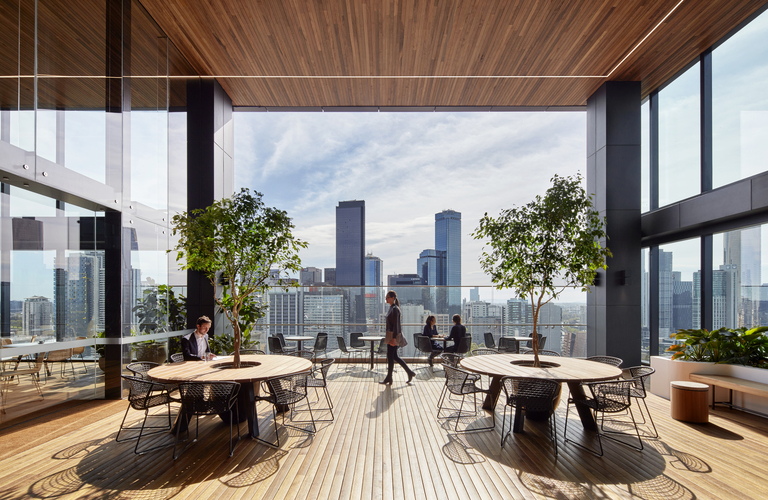 If you've got the real estate, make use of outdoor space to give employees a place to work, collaborate, or recharge in the fresh air. 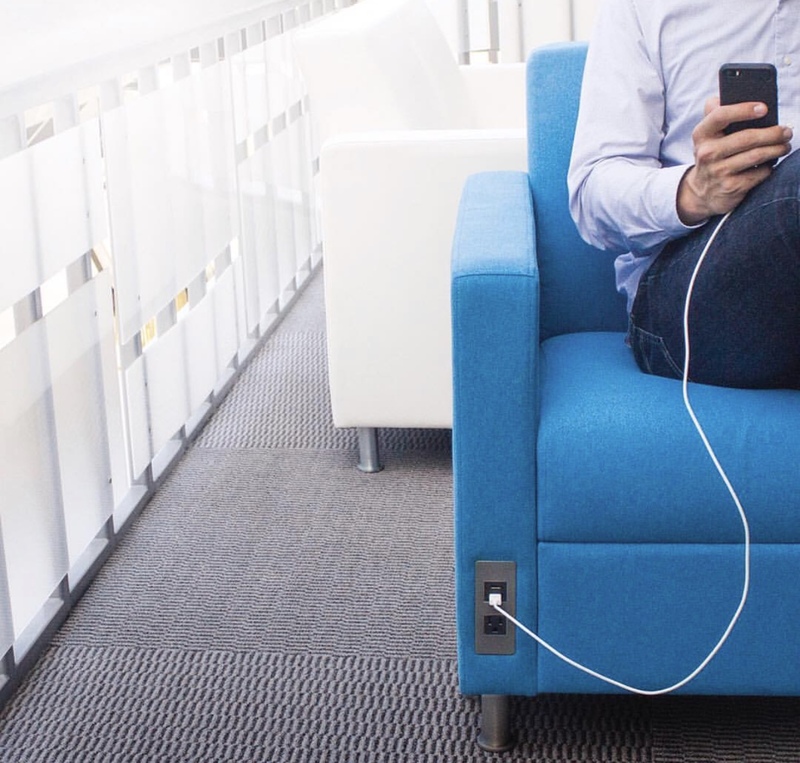 These recommendations are by no means an exhaustive list of possible solutions to these problems, but are just a few ideas to get you thinking about your workplace – and those who occupy it, in a new way. 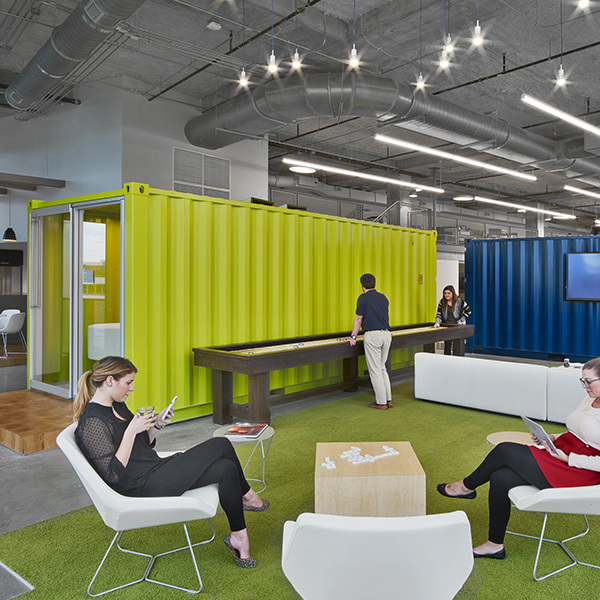 Although there are bound to be challenges in the workplace, the most successful companies are finding ways to alleviate these problems and create a workplace environment that is not only tolerable, but truly engaging and enriching the lives of the employees.